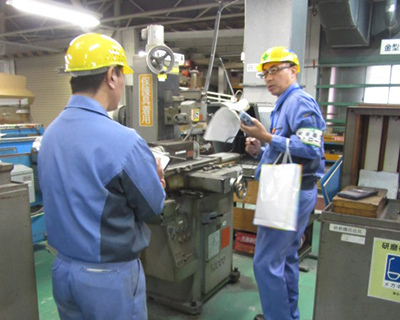 Having a safe and comfortable workplace for our employees is crucial for Fukuvi’s business activities. As a company with manufacturing at our base, our employees must use various equipment and machinery which can cause risk of injury, operate vehicles, as well as handle potentially harmful chemicals and fuel. It is our duty to mitigate any risks, maintain safety, and prevent injury to our valued employees. We work to ensure a safe workplace by taking hard measures, such as installing safeguards on machinery and providing the proper protective equipment, and soft measures, such as standardizing our safety procedures and providing training to our employees to increase their safety awareness. 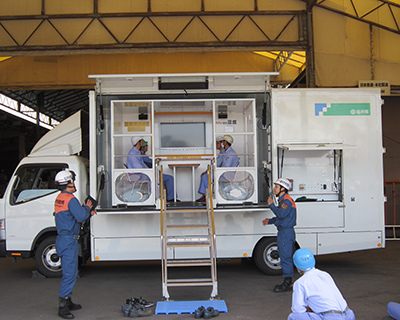 Additionally, all of our safety measures are compliant with Japan’s Occupational Safety and Health Act. Our “Occupational Safety and Health Management” system is a standardized system which aims to increase occupational safety and health and Fukuvi. In 2002 we introduced the international standard “OHSAS18001” at our company, and have continued to be certified under this system since then. Foster awareness of workplace hazards in all of our employees to enable them to avoid these dangers. Ensure and strive to improve the safety and health of each employee, working to prevent injuries and illnesses through our occupational health and safety management system. Through this system we follow the PDCA method in order to make our safety improvement efforts reliable and effective. Comply with all applicable laws, regulations, ordinances, and other requirements regarding health and safety, while observing any changes in the law and updating our procedures accordingly. Improve occupational health and safety skills of our employees through education and training programs, especially aiming to increase conscientiousness of our employees and reduce accidents caused by human error. Set clear safety goals, which are constantly being reviewed and improved. In order to maintain the safety of our equipment we perform regular inspections and uphold proper maintenance. Additionally all of our employees are given workplace injury prevention training, as well as training on how to report incidents should an accident occur. 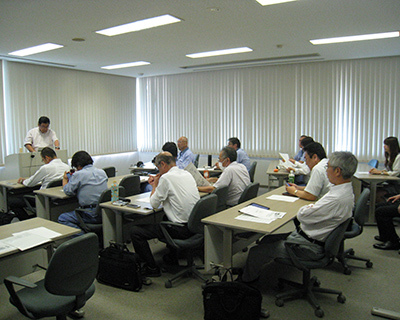 Fukuvi Chemical supports continued training for all of its employees. We provide many opportunities for our employees across all fields to increase their skills, including encouraging them to get new certifications, attending outside lectures and training seminars, and providing our own education training programs. Additionally Fukuvi Chemical regularly provides life-planning seminars for our employees to help them grow not just in work-related fields but to support their livelihood as well. In Japan, earthquakes and other natural disasters are unavoidable. Therefore Fukuvi Chemical has a business continuity plan with various procedures in place which will minimize damages should such a disaster occur. 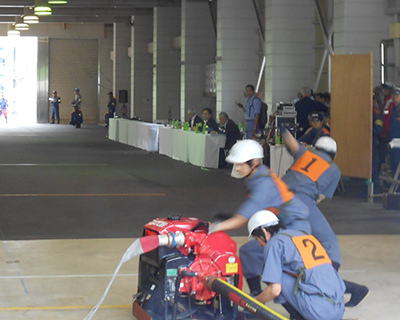 As part of this plan, Fukuvi Chemical hosts a “disaster prevention training day” every year on May 20th. 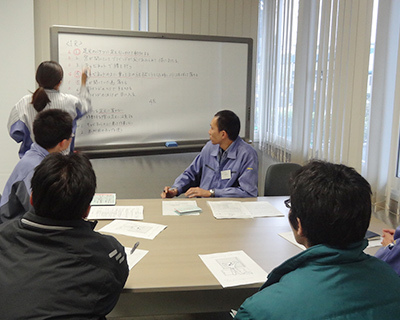 All employees participate in disaster drills and learn rescue techniques during this training, enabling them to act quickly and save lives in the event of an earthquake or other disaster. 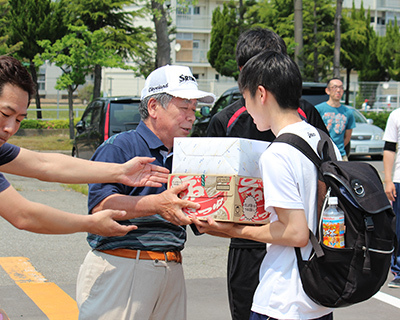 Additionally, in preparation for a disaster, Fukuvi has emergency rations, drinking water, evacuation supplies, safety gear, first aid kits, and other necessary supplies stored in all of its factories and offices. Fukuvi Chemical is taking every measure possible to prepare our employees and keep them safe should a natural disaster occur. 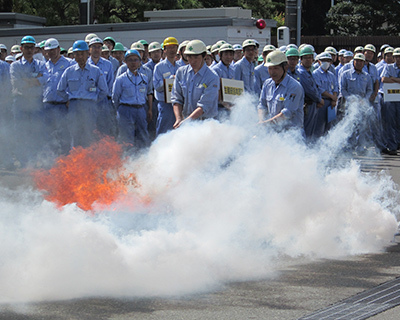 In order to protect our employees, factory, and the surrounding areas, fire-prevention is of utmost important to Fukui Chemical. Many types of plastics, oils, fuels, and various chemicals which are easily flammable are used in our factories, so we have many safeguards in place in order to prevent fire outbreaks. In addition to daily fire-safety checks, we also have a trained fire-fighting brigade to extinguish fires immediately if an emergency should occur. This brigade is trained to skillfully use water pumps and fire extinguishers, as well as regularly participating in trainings with our local fire department in order to increase their fire-fighting skills. 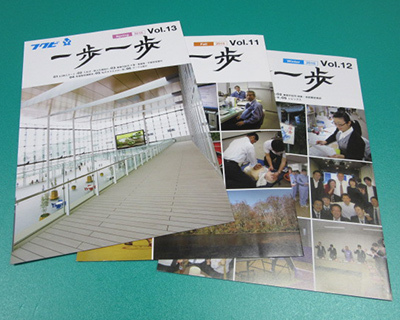 Step By Step is Fukuvi Chemical’s company magazine, which is contributed to by employees from all sections of our company. Fukuvi is a large company spread across many locations with people working in many different fields, so this magazine provides a great opportunity for our employees from different areas to work together, as well as to read about what is happening in other sections of the company. This quarterly magazine is a great way to connect our employees around the country, and the world. 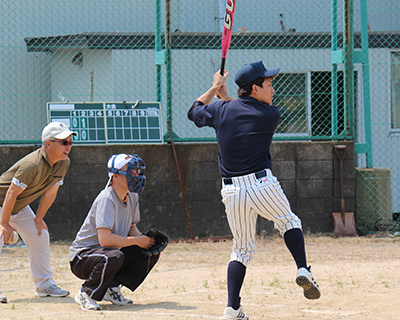 Another way Fukuvi Chemical helps its employees connect across fields is through sports and recreational activities. 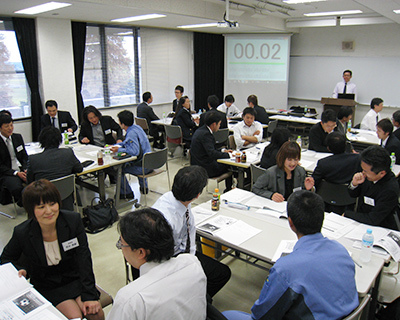 Fukuvi employees can start sports teams or clubs, which are supported by the company. Some of the popular activities include the running club and the baseball team. These kinds of activities allow employees from different areas to connect in a fun and friendly environment.